Menopause, Me and You will help you put menopause in proper perspective--as a normal and natural developmental process in the lives of women, not as a disorder or state that causes disease. 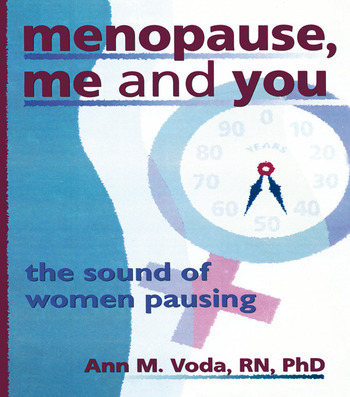 This informative book gives you self-monitoring tools for collecting information and monitoring changes in your body during menopause. These tools will also help you understand the dynamics of the change process. A guideline as to how to best use this information when interacting with care providers--especially those who view menopause as a disorder to be treated--is also included. The women who share their experiences in Menopause, Me and You represent women at various stages of menopause. They describe for you what they are feeling as well as what it means to be a mid-life woman at the closure of reproductive life; they celebrate the end of menstruation but curse the changes--including mood swings, hot flashes, and vaginal/bleeding changes--they are experiencing. These changes are normal and expected, however, and need to be understood in that context. They are not symptoms of disease or an excuse for care providers to instantly prescribe hormones or drugs. With the information in Menopause, Me and You, women nearing or experiencing menopause, health care providers, such as nurses, health educators, and physicians, and counselors will better understand how women view this transition and come to accept it as another normal, necessary, and beautiful process in the lives of women. Chapter 11. Hot Flashes: When You’re Hot, You’re Hot!